SESplan, the strategic planning authority for South East Scotland, covers West Lothian, Scottish Borders, Midlothian, Fife, East Lothian and the City of Edinburgh Councils. It has released a Main Issues Report (MIR), as the first stage in preparing a second Strategic Development Plan (SDP2) for the SESplan area. The Main Issues Report and associated documents are available for viewing online at http://www.sesplan.gov.uk in public libraries and at the City Council’s planning office. SDP2 will have a major influence on future development patterns including those affecting West Edinburgh. Indeed, the Main Issues Report contains three strategic options for future development, with the preferred option outlining West Edinburgh as one of the main focal points for growth of the City and a strategic development corridor stretching along the A90 to South Queensferry, leaving just Dalmeny Estate and some small parts of the green belt free of development. A public consultation programme is under way and responses are required by 30 September. A public drop-in event was held at Drumbrae Library in August and a local Community Councils’ meeting at Corstorphine was attended by two members of the Community Council. Concerned members of the community should study the MIR document and make their views known by completing the online response form. Members of the Community Council have been invited to discuss a draft response to the Consultation programme, which was circulated several weeks in advance of the Community Council’s September meeting. The Second Proposed Edinburgh Local Development Plan (LDP2) was submitted to Scottish Ministers on 29 May for examination by Reporters from the Directorate for Planning and Environmental Appeals. The Reporters will examine all unresolved issues and representations, including the Maybury and Cammo development proposals. Information about the examination and issues being addressed by the Reporters can be found at http://www.dpea.scotland.gov.uk/CaseDetails.aspx?id=115816 – (Direct Link). It is expected that the Report of Examination will be completed late in 2015, enabling adoption of the LDP by April 2016. Scottish Ministers considered the Reporter’s findings on the planning appeal for the development of up to 670 housing units and ancillary development at Cammo and dismissed the applicants’ appeal, as a decision to grant permission could be prejudicial to the emerging LDP. The decision letter states … Ministers consider that the wider transport infrastructure implications of the proposed LDP, including the cumulative effects of this and other proposed (housing) allocations on transport infrastructure in the West Edinburgh area, have yet to be considered through the LDP examination process. This decision effectively overturned the Reporter’s findings that prematurity was not an issue and that the development should be permitted, largely as, in the Reporter’s view, the objections raised were refuted by technical assessments undertaken as part of the SESplan and LDP processes and the applicants’ own assessments. In particular, the Reporter assessed that the need for major housing developments was proven and that all technical submissions by the relevant public agencies had indicated that there were no major issues which could not be overcome. The Reporter gave little or no weight to submissions regarding the adequacy of roads infrastructure, etc. It is interesting, therefore, that Ministers raised the traffic issues in their decision on the appeal and it remains to be seen as to what views the new set of Reporters dealing with the LDP and, thereafter, Ministers take with regard to such issues and the Cammo proposals as a whole. b. as a consequence of the above, the Ministers’ decision was not compliant with the legislation. a. ‘Scottish Historic Environment Policy’ (SHEP), ‘Planning Advice Note PAN 71: Conservation Area Management’ and ‘Second Local Development Plan: Policy Env5 Conservation Areas – Demolition of Buildings’ all require that proposals for the demolition of any building, whether listed or not and within a conservation area, should not normally be permitted unless a detailed planning application is approved for a replacement building which enhances or preserves the character of the area. The ‘Cramond Conservation Area Character Appraisal’ identifies typical characteristics of this Conservation Area as including a ‘… variety of suburban cottage style Edwardian and Victorian houses … and a predominance of traditional building materials and detailing giving a coherence and visual unity to the Conservation Area … including hipped or gable roofs, sandstone, harling, slate and pantile. It is clear from the proposals submitted in support of the demolition application that the replacement building will not ‘enhance or preserve the character of the Conservation Area’. Indeed its scale (61 bedrooms + additional public rooms, extensive building and parking area ‘footprint’, 3-storey height), design and materials (non-traditional facade detailing – including extensive fenestration, render and timber cladding, flat copper-coloured membrane roof + rooftop gardens), potential lighting pollution (lighting of access/egress roads, parking and exterior reception areas and possible façade lighting) and traffic generation (applicants’ estimate of 160 vehicular movements per day), amongst other issues, will all contribute to the alien character and adverse impacts of the proposed replacement development on the predominantly residential characteristics of the Cramond Conservation Area. b. the replacement development, which is an integral component of the demolition proposal, would create a precedent for future, larger-scale, commercial development (e.g. tourist accommodation) within Cramond Conservation Area, which would adversely affect the amenity and character of the Conservation Area and generate traffic and parking pressures, thereby exacerbating existing issues of congestion on the local road system. Planning permission has been refused for the replacement of timber sash windows at one of the traditional cottages at Caddell’s Row at the foot of School Brae with UPVC windows. The proposal was refused as the windows would not match the traditional style and materials of the windows in the adjacent cottages and hence affect the amenity of the Conservation Area. Residents within Cramond Conservation Area should note that planning permission is required for replacement of windows within their properties. The City Council’s Planning Department has published for consultation its revised draft ‘Engagement Strategy’ and revised ‘Customer Service Charter’, which can be viewed at http://planningedinburgh.com/2015/08/19/planning-and-building-standards-customer-engagement – (Direct Link). The Community Council supports most of the proposed Strategy and Charter, but intends to use this opportunity to emphasise its concerns that, while these documents contain sound proposals for consultations on planning matters, the Community Council’s experience is that the Council’s Planning Department does not adequately consider or reflect our submissions or those of other members of the community in its subsequent plan making or development management decisions. This has been demonstrated throughout the Local Development Plan preparation and consultation process and in respect of major developments, such as at Cammo. Engagement without responsiveness has resulted in many members of our community and the Community Council losing confidence in the planning system. 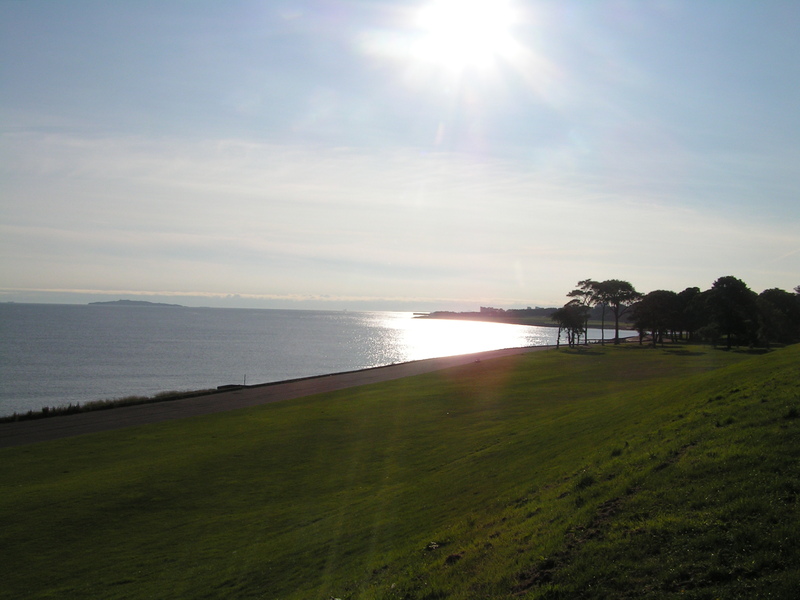 The Interpretation Group has gained first stage approval for its bid to the Heritage Lottery Fund (HLF) to enable progress on the Orientation and Interpretation Strategy, which has been prepared for Cramond and the River Almond Walkway. The bid will be submitted in November and its outcome notified in March 2016. A successful bid will provide major funding for new orientation and interpretation boards, a Cramond Heritage Trail app, programme of walks, talks and educational visits, and heritage-based training and research. Project Manager – who will have overall responsibility for progressing the project. He/she will report to the Steering Group and lead the Project Team. Specific, short-term, Topic Teams may be tasked to develop and advise on specific topics – e.g. 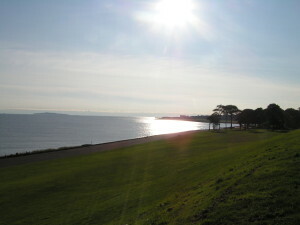 Cramond Heritage Trail, community involvement programme, heritage training and research. Community Council members’ approval of this proposed structure will be sought at the September meeting. The Secretary attended the NHS Lothian Annual Review meeting held on 3 August 2015 and raised concerns with Tim Davison, the Chief Executive, about the growing pressures on the Cramond Medical Practice including those on the horizon with the prospect of new Nursing Homes in the area. These concerns about the potential clustering of facilities for the elderly with complex needs were followed up in correspondence with the NHS board. The damaged gable end on the houses fronting on to the promenade has been re-rendered and is being painted this week. Quotes are to be sought for further painting in the Village. The work to improve the streetscape around the Barnton shops has been completed and the bus shelter re-instated. Concerns have been raised about the effectiveness of the new bus shelter, notwithstanding the fact that sides have more recently been added. The concern is that the shelter faces out towards the street and as such it is open to the elements. The West team had agreed to monitor this. So, if any of you experience a soaking whilst using the shelter either from the rain or from water thrown up by passing vehicles then let us know and I will pass on the information to the team. The CCTV camera on the Queensferry Road has periodically been turned to face down Whitehouse Road to monitor any incidents of drivers going round the traffic island at the Bank of Scotland on the wrong side. The police/CEC have not captured anyone to date, they will continue to routinely turn the camera on to Whitehouse Road. But in the meantime if you do see such behaviours and are able to take the registration number then please feel free to contact the police on 101. TROs have been drafted by the West Team to address parking concerns on a number of roads in the area. A backlog in the completion of the process at Waverley Court is causing delays to the finalisation of these orders and Darren Wright is trying to resolve this. New lighting is to be installed on the path between the golf courses in an effort to address conflict between cyclists and pedestrians using the path. If following the installation of the lighting there continues to be issues, incidents, near misses etc then please let us know and we shall feed this into the West team. This will determine whether or not a chicane should be introduced at a mid-point on the path. Officials have re-assessed the risk attaching to the garden wall that has fallen down onto the grass verge adjoining the promenade. Steps are being taken to promote an order to require the householder to have the wall repaired. Many of you who may have attempted to travel anywhere in the locality on Sunday 6 September are likely to have encountered significant challenges arising from this event. The Community Council has been assured that it will be invited to attend the formal wash-up meeting that is to be held. Thanks to Waitrose and their customers, the lunch club received a donation of £360.00. We used this to take our members and volunteers out to Dobbie’s near Lasswade for a wander round the shops, garden centre then lunch. Perhaps a sign that the Council is recognising this club, though not receiving funding from them, they gave us the use of a mini bus for the day. Having the transport supplied, has left us with sufficient funds for another trip out. We have now requested the use of a bus for a Christmas trip out. Let’s hope the Council support continues. This is now an official Scottish charity with a bank account. Setting up the bank account was painstaking and slow. However, the good news is that the garden at Lauriston Lodge is now being cleared by people on Community Service working with Iwan Thomas from the Ranger Service. We are still waiting for a ‘risk assessment’ report from the Council to allow us to work on the house. We displayed our first exhibition board at the Davidson Mains Gala, then in the City Chambers and just recently in the Scottish Parliament at a Reception for the Scottish Older People’s Assembly (SOPA). We also used the recent Lord Provost’s Garden Party in the grounds of Lauriston Castle for a photo opportunity with the Lord Provost with him thereby assuring his awareness of the initiative. Our next outing for the exhibition board will be The Older People’s day event at Meadowbank Sports Stadium on the afternoon of Thursday 1st October. Our aim is to advertise the project in an effort to secure sponsorship and donations.